Some of the most amazing scenery above and below the water. A top 10 destination. Palau is a divers dream! A true “one stop shop” when it comes to diving! From sheltered coral gardens filled with colourful reef fish and lots of turtles to current swept plateaus patrolled by schools of sharks and barracudas, Palau offers a wide and wonderful range of diving for divers of every interest and skill level. Healthy reefs, stunning walls, beautiful hard corals and soft corals, lots of sharks, huge mantas, turtles on every dive and huge schools of fish, tiny seahorses, elusive mandarin fish and lots and lots of tiny critters, all topped off with an amazing collection of WWII wrecks! 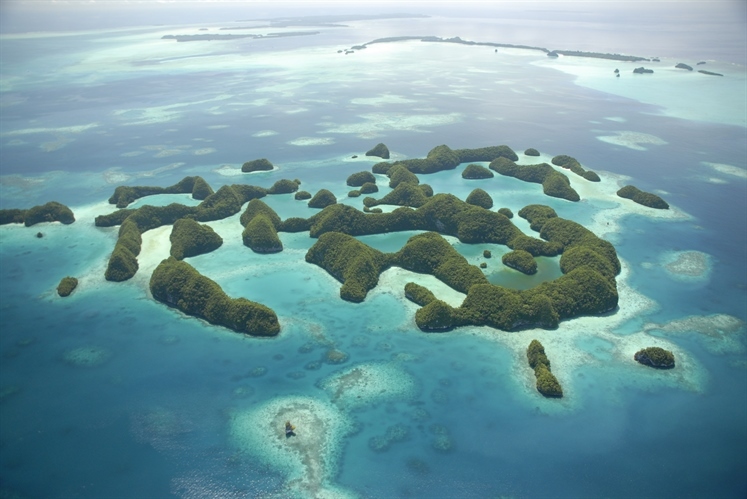 Whatever your diving pleasure, level of interest or experience level, Palau diving is sure to please! 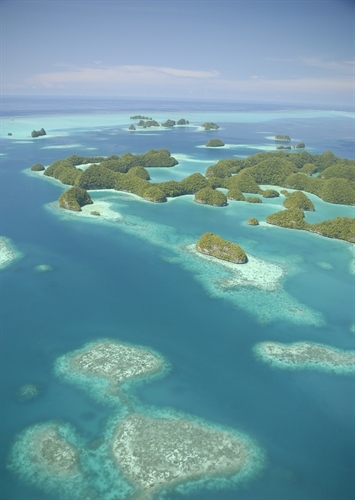 Palau is world renowned for marine bio-diversity and an abundance of large pelagic animals that includes schools of sharks and lots of manta rays. Our warm clear tropical waters are legendary amongst divers for dramatic coral encrusted walls rising from the depths to within inches of the surface. Home to over 1,300 species of fish and more than 700 species of coral, Palau also offers exciting wreck diving with one of the Pacific's largest collection of intact WWII shipwrecks and plane wrecks. 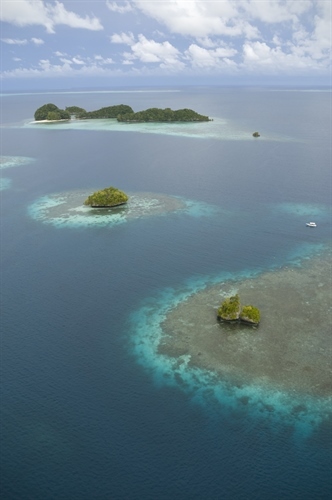 Palau's richly abundant waters also provide wonderful leisurely snorkeling and free-diving too! See turtles, sharks, barracuda and multitudes of colourful reef fish as you glide over dazzling coral reefs. 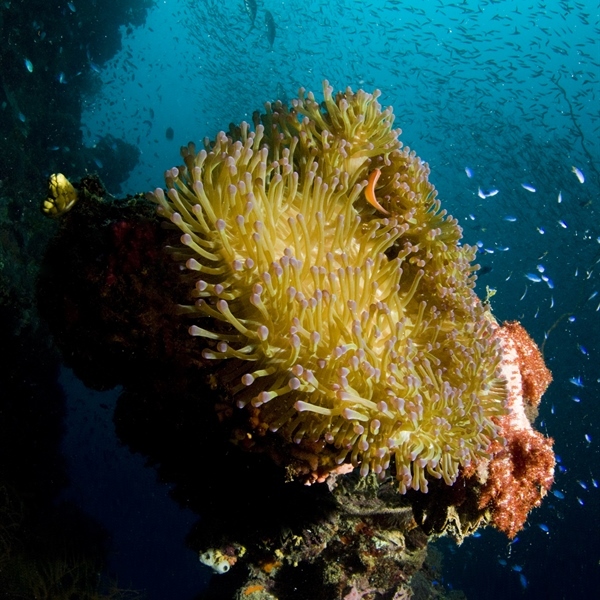 The majority of diving in Palau consists of drift diving along the beautiful walls, plateaus and coral gardens of the outer barrier reef, a forty minute boat ride from Koror through the picturesque rock islands. Palau offers an endless variety of sites to dive - from caves to walls and major drop-offs, to tunnels, channels and shallow reefs, where you can enjoy great visibility and an almost limitless variety of marine life. There is even a lake chock-full of pulsating (non-dangerous) jellyfish where you can snorkel, and an underwater cave to explore. 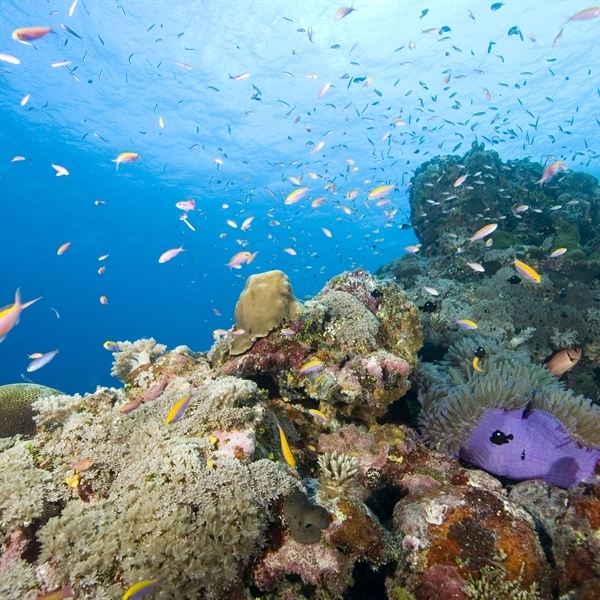 The coral reefs provide home to more than 1,500 species of fish and 700 species of corals and sea anemones. 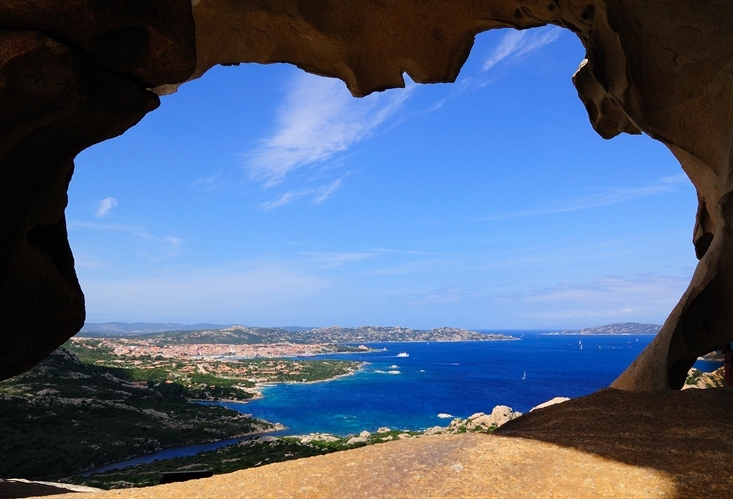 Below the surface, divers and snorkelers are treated to a paradise of fabulous walls, blue holes, breathtaking reefs, crystal caves and WWII wrecks. Vast numbers of pelagic predators, sharks, turtles, dolphins and many species of migratory fish gather here at this unique crossroads where three of the World's major currents come together. “Blue Corner” - Palau's most popular dive site is recognised as one of the best in the world due to its concentration of marine life. The formation of the reef, sheer walls and the large number of schooling fish make it a truly unique experience. There are three mooring buoys located along the reef. Blue Corner is home to some of the largest schools of fish in the world; here you can see just about every kind of fish found in the tropical ocean - sharks, tuna, hawksbill and green turtles, eagle rays, giantstrong groupers, and barracuda, to name but a few species. Permanent residents at Blue corner are large schools of Jacks, Snappers, Chevron barracudas, red tooth triggerfish, pyramid butterfly fish, profuse numbers of small tropical fish and Palau’s famous napoleon wrasse. Occasionally divers spot great hammerheads, whale sharks, mantas, marlin, sailfish and whales. “Ngemelis Wall” commonly known as Big Drop-off, is a sheer vertical wall, which runs along the whole length of Ngemelis Island and is to be one of the best dive walls in the world. At extreme low tide, the entire top of the reef will be exposed. The edge of the reef drops straight down to 275 meters. Pyramid butterfly fish, moorish idols, sergeant major's, yellowtail fusiliers are among the myriad of fish found all along the edge and top of the reef. Blue face, regal and emperor angelfish are easily spotted. Dwarf angelfish dart in and around the coral heads at the top of the reef. Clarki and blue striped clownfish with their host anemones are also scattered along the reef. Hawksbill turtles like to feed and rest at the top of the reef. Turtles can be approach if you move slowly. White-tip and nurse sharks sleep on the sandy bottom. “German Channel” is known for manta rays, schooling sharks and an abundance of tropical fish. Almost every form of marine life can be seen here. Thousands of jacks will school here along with barracudas, trevally and snappers of numerous species. The sandy bottom is home to garden eels, blind Gobies and Mantis shrimps, to name but a few. There are daily flights from London Heathrow to Manila in the Philippines with various airlines. On arrival in Manila, depending on connection times you can take an evening flight to Palau via Guam, the central hub for all Continental Micronesia flights. Continental Airlines provide daily flights from Guam to Palau and twice a week from Manila, Philippines. On arrival in Manila, depending on connection times you can take an evening flight to Palau via Guam, the central hub for all Continental Micronesia flights. Continental Airlines provide daily flights from Guam to Palau and twice a week from Manila, Philippines. Please note that transit times through Manila and Guam can be long and sometimes in excess of 12 hours. Overnights and day rooms can be arranged to make your journey more relaxing. Transfer time to the Resort is approximately 30 minutes. 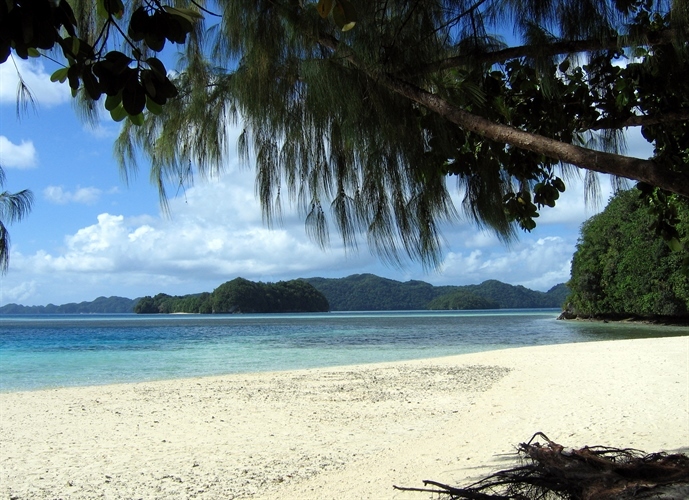 On your departure from Palau there is departure & green tax fee of $50 per person payable by cash at the airport. 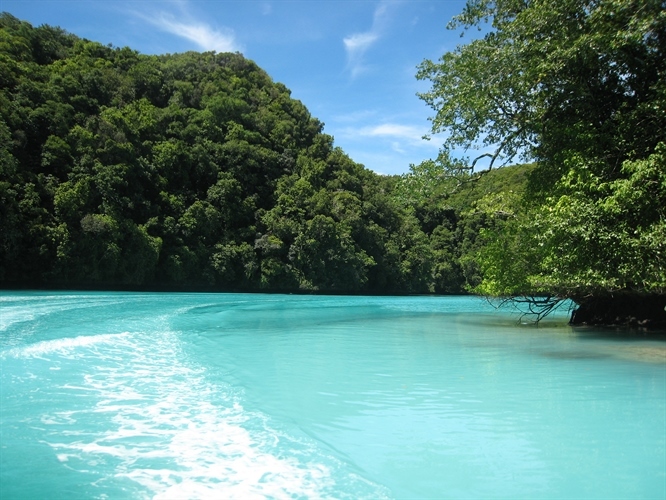 Palau is a year round destination with water temperatures ranging stably between 29°C and 30°C. 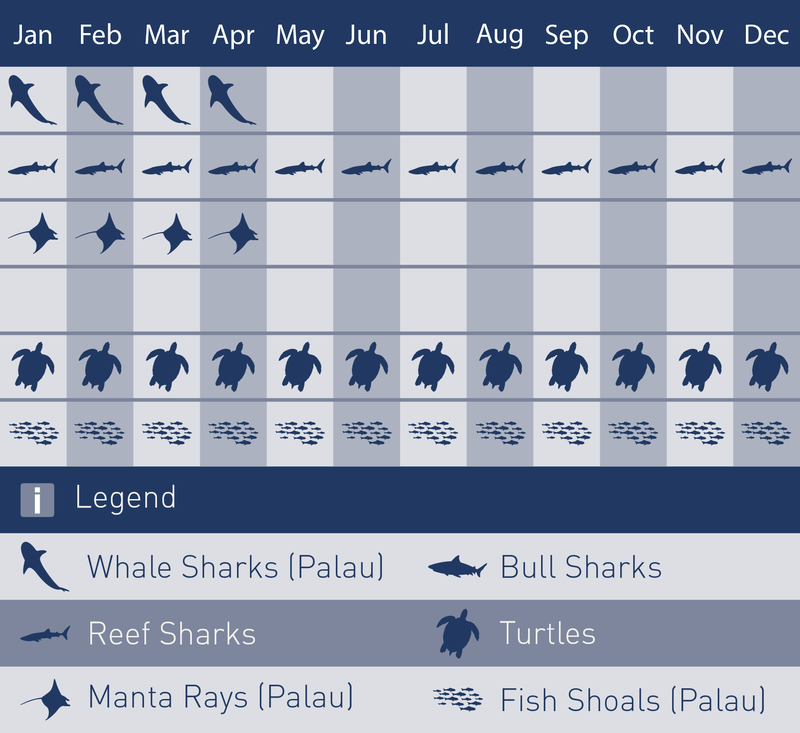 The best time to dive Palau however is between November and May. 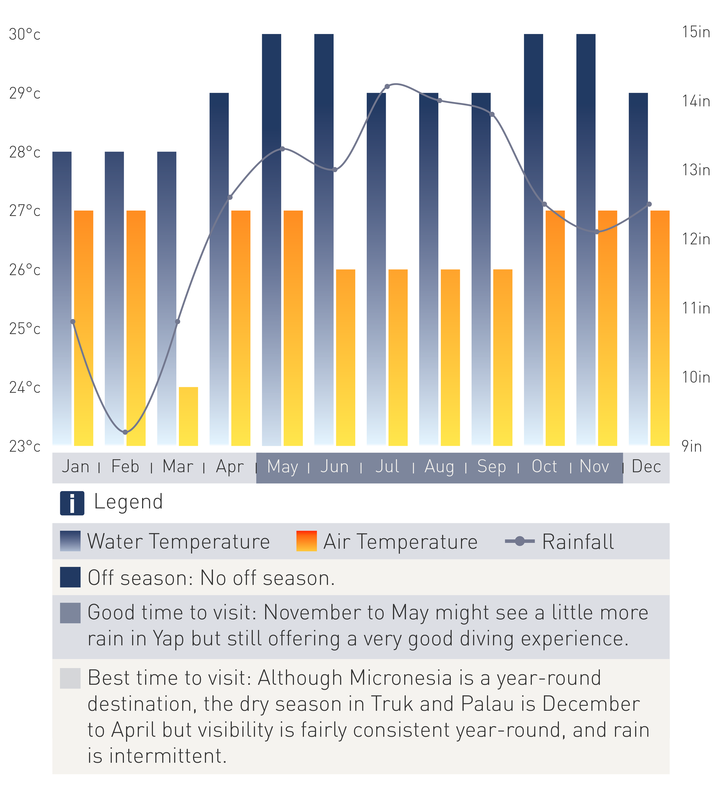 July to September visibility can be a little reduced due to heavier rains and stronger winds.